Referring to Chinese President Xi Jinping's anti-corruption drive where 122 arrests were made last year, Dr Lee Wei Ling said that Xi "is playing a game where he appears to weed out 'corrupts' (but is actually replacing them with) his own people". 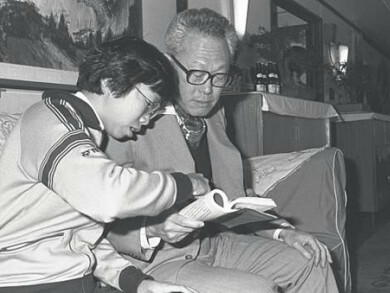 Dr Lee is the only daughter of Singapore's first Prime Minister, Lee Kuan Yew. Dr Lee was responding to an article published in the Guardian titled "China clamps down on corrupt officials with 122 arrests this year", which said that China had recovered billions of yuan from losses to corruption and arrested 122 on-the-run government officials this year. The report said that the Central Commission for Discipline Inspection, China's anti-corruption watchdog, reclaimed about 2.3bn yuan ($480 million) in the 11 months, from January to November 2016. President Xi's anti-corruption campaign is in keeping with his promise made in 2013 when he came to power, that he will pursue all financial criminals, from "tigers" to subordinate "flies", in his crusade against corruption. Dr Lee's comments comes amidst Singapore's cooling relations with Beijing. Chinese Hong Kong seized nine armoured vehicles belonging to Singapore in November last year and has refused to give proper reasons for the impounding of the military assets. The Chinese government could also be targeting the casinos in Singapore through its crackdown on capital flight which are funnelled out of the mainland in violation of China's strict currency controls through casinos in the Republic. China backed projects in Asia, like the $13.86 billion joint-venture Melaka Gateway, may also interfere with Singapore's growth trajectory and move the country from its pole maritime position in the region.